Hello Peoples! Righto, to keep you going until the podcast is released on Tuesday, (and the video version is released shortly on the Youtubes) here’s something we did during the aftershow that we like the call, ‘The Battle of Dog Hill’. 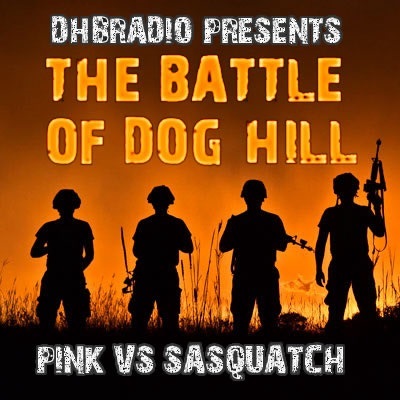 In this first round it’s the Sasquatch vs Pink, using five tracks each they have to try and win the overall battle to see who’s nailed the best tracks. The kicker is that it’s voted for by you folks. So have a listen, see what you think and let us know in the comments below! If it proves popular enough, we’ll possibly do more with different mixes of hosts..